Education ministers from African countries are to evaluate status of the Sustainable Development Goals (SDGs) on education in the continent at a meeting in Nairobi, Kenya. The April 25 to April 27 Pan Africa High level Conference on Education to be held under the auspices of UNESCO and African Union, will bring together African ministers of education, policy and opinion makers on education from the public and private sector. UNESCO said the delegates will further discuss, understand and exchange views on how the alignment between SDG4 and the Continental Strategy for Education in Africa (CESA) is influencing current agendas, education legislation, policy, plans, financing and monitoring and information systems. 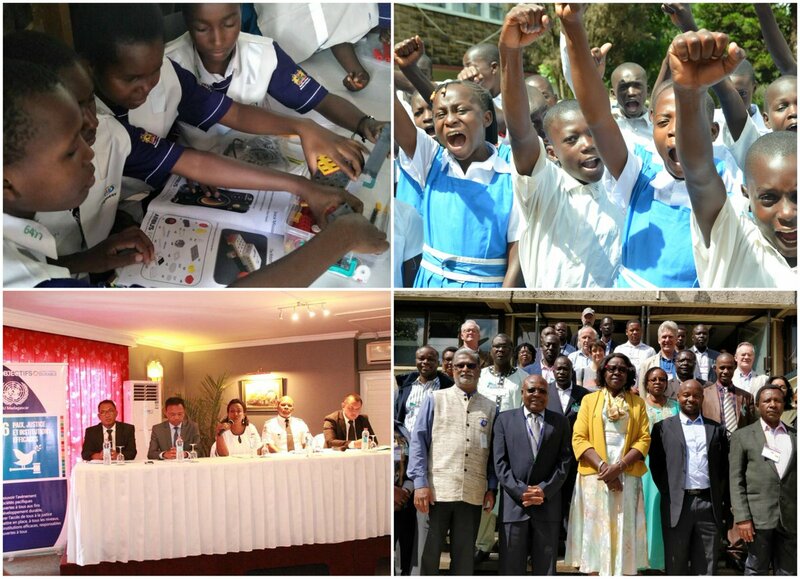 “The three-day conference will feature two days of technical meetings, with panel discussions on education topics, such as inclusive education, digital technologies, girls in Science, Technology, Engineering and Mathematics (STEM), gender equality, and much more,” UNESCO said in a joint statement issued in Nairobi. UNESCO said during the meeting, the ministers will seek a common approach on the way forward to ensure an inclusive and quality education for all. “They will agree on key recommendations for developing Africa’s human and social capital through an education and skills revolution emphasising science and technology within the context of the implementation of SDG IV and CESA 2016 to 2025. “They will also contribute to the realisation of Agenda 2063 for a prosperous and more equitable Africa based on inclusive growth and sustainable development,” the UN agency said. UN is fraudulent criminal institution used by European countries- France, Britain, Germany etc. for their banditry mission etc. on African Soil in this 21st century world. UN fraudulent criminal institution do not have a place in 21st century Africa. UN fraudulent criminal institution programs for Africa are war instruments against Africa for European countries interests. African existence and future in 21st century world basis are African based programs based on African backgrounds and values in cooperation with Africa’s 21st century partners. A 21st century professional education based on African backgrounds and values must be number one priority in all respects directly and indirectly. Education is basis of economy, employment etc. Education is basis of human existence. This is 21st century Africa. This is 21st century world. God Is With Us!! !